The Paragon Ag Advisors team is focused on making a positive difference in the communities we serve. Since its inception in 1997, Paragon has played an active hands-on role in supporting local, regional and state producers, farmers, and agricultural communities. From support through education initiatives, leadership and community service organizations, Paragon Ag Advisors takes pride in leaving a positive imprint everywhere we conduct business. A trade association representing 5,600 members on legislative and regulatory issues. 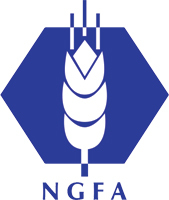 A voluntary association with membership encompassing the entire spectrum of the grain receiving, storage, processing and shipping industry in the state of Kansas. A grower-funded, grower-governed advocacy organization working to secure the future of Kansas wheat in the global market through international trade, research, export system studies and continually improved varieties of wheat. Paragon’s CEO, Chris Haverkamp has sat on the board for NIBA (National Introducing Brokers Association) – the united voice for derivatives professionals.